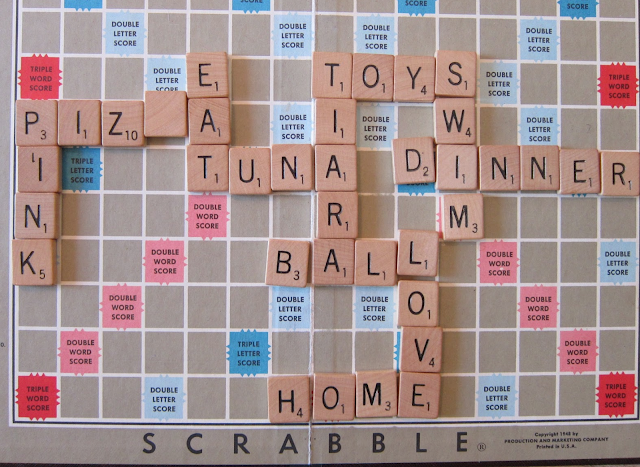 Its National Scrabble Day. 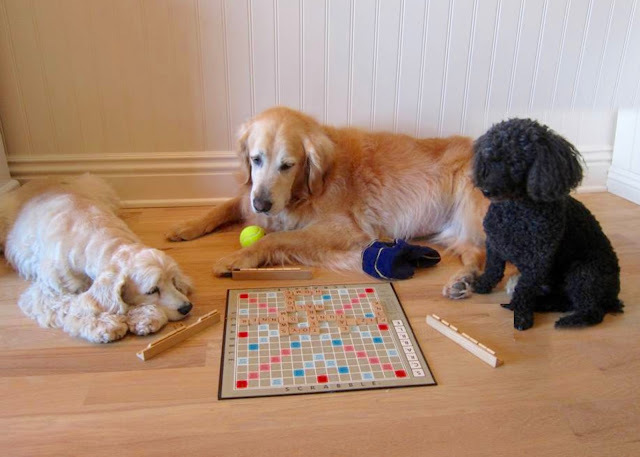 I remember when Annie and I played scrabble with Bear. He was so patient with Annie who wasn't exactly into the fun. Can you guess which words each of us put down ? I bet Annie put down the food words! My mom plays a lot of complicated games, but she doesn't like scrabble. She says she never learned how to capitalize on the double and triple word score things. We'd love all those little tiles. They'd be great to bat around the house! Happy Scrabble Day! kittykisses! Annie was about, food, toys and home! Yes! You would love scrabble tiles. That would be a lot easier way to play Scrabble! RosyPoodleKisses!